A marketing discipline focused on growing visibility in organic (non-paid) search engine results. SEO encompasses both the technical and creative elements required to improve rankings, drive traffic, and increase awareness in search engines. In other words, properly practiced SEO helps make your website visible for potential clients when they are googling terms related to your products or services. 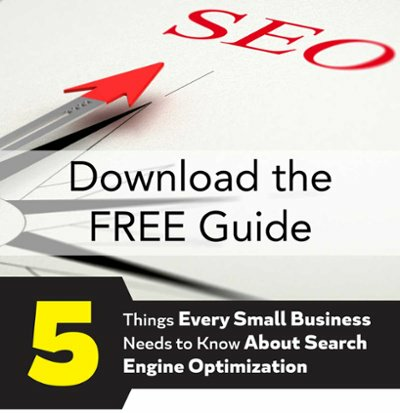 Though SEO is not necessarily a comprehensive marketing strategy, it is an important habit for small business owners who want to make the most of their websites. In this article, we will discuss in brief what is and what is not effective SEO strategy. Ineffective SEO Practices for Small Businesses? SEO begins with developing and researching keywords. Keywords are the words or phrases typed into a search engine for which you want your website to show up. If you own a carpet cleaning company in Asheville, you would want your website to display on the first page of google for keywords like: "carpet cleaning asheville nc" and "who cleans carpet well in asheville". Keyword Stuffing: This refers to the practice of displaying the keywords in a manner that is essentially unreadable: "We are Asheville carpet cleaners, cleaning carpet in Asheville, so you don't have to clean your Asheville carpets in Asheville, NC." Shady Link Building: Google's algorithm once measured "links" to your website as a sign that your content is relevant enough for people to share. SEOs abused this by created link farms-websites that exist for the sole purpose of building links. Google has cracked down on this practice. Invisible Text: Similar to keyword stuffing, it was once standard practice to use invisible text to hide keywords. Google recognizes that and that practice is likely to hurt your search engine rankings. Poor Loading Speed: Large images files and graphics loading slowly on your website will damage your rankings. Your website should capture the attention of your visitors, but not at the expense of your SEO. Unreadable Content: It was once standard practice to develop content for search engines, rather than humans. If Google's robots detect that a website's content is poor quality, or the text is too small for desktop or mobile devices, it's SEO will likely suffer. Digital marketing experts are encouraging small businesses to shift their focus from search engine optimization, to creating and distributing quality content. That is great news for people who are concerned about SEO. Why? It means Google favors quality web design, well-written content, and honest marketing over shady link building and keyword stuffing. Quality Content: Write for readers, not for robots. Robots are not going to become your clients, at least not yet. Develop content for your potential customers. Answering Questions: Answer the questions people are asking. If you own a widget manufacturing company in Wilkes county, you may develop regular content related to signs a homeowner's widgets need to be replaced. Utilize Testimonials: When your customers or clients sing your praises, ask them to write it down in the form of a Google or Facebook review. There is no better sales team than your happy clients. Write Honestly: Sales are much easier, when people believe in your expertise. If you effectively display your expertise, you will build trust with your potential clients, and SEO will take care of itself. Technical SEO: Google's algorithm does account for appropriate use of headers, image alt-tags (descriptions in an image's HTML), title tags, meta descriptions, etc. If done properly, these technical aspects of SEO tell Google that your website is readable, organized, and relevant for your potential clients. Your website functions as a digital front door for your small business. It is an opportunity to make an important first impression, showing your potential clients that you are the expert for whom they are looking. SEO simply helps people find your digital front door. If you are interested in learning more about how we can help you improve your small businesses digital presence through SEO and content marketing, contact us.